Use the VBA macro code in these templates to learn how to solve problems for yourself. Most of the templates contain text that explains how the macros work, and the macros themselves contain comments. Unless indicated otherwise, the macros in these templates work in Word 2000, 2002 (XP), and 2003. Some specify that they're for Word 2000 to 2003 only, while others say they're for use in Word 2007 to 2013 only. 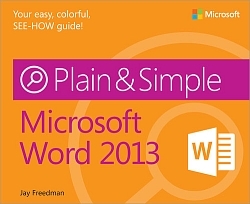 As of this writing, templates that work in Word 2013 will also work in Word 2016. Most of the templates should be stored in your Templates folder and used to create new documents. The few that are add-ins explicitly refer to the instructions for storing them in Word's STARTUP folder. Stop Reconfiguring Two or More Versions of Word on the Same Computer If you have two or more versions installed, each one wants to reconfigure after you run another one. This article explains how to stop that, without manually editing the registry. 2017_Calendars.zip Word Templates for 12-month calendars for 2017, in both Word 97-2003 (*.dot) and Word 2007-2016 (*.dotx) format. Also includes the 2017 calendar as an Excel workbook, courtesy of Elizabeth Golding. 2017 Calendar An Excel workbook containing monthly calendars for 2017, courtesy of Elizabeth Golding. To download future versions, join the Yahoo! group at classicblue-subscribe@yahoogroups.com. 2018_Calendars.zip Word Templates for 12-month calendars for 2018, in both Word 97-2003 (*.dot) and Word 2007-2016 (*.dotx) format. 2019_Calendars.zip Word Templates for 12-month calendars for 2019, in both Word 97-2003 (*.dot) and Word 2007-2016 (*.dotx) format. AutoCorrect2007.zip Revised August 2018 The AutoCorrect backup/restore template from the Word MVP FAQ, updated for use with Word 2007, 2010, 2013, and 2016. Thanks to MVP Graham Mayor for improvements, including a progress bar and elimination of "not responding" states. Fixed to work in Word when the default language is not English. New: If you edit the backup document to remove entries from the table, those entries will be deleted from the AutoCorrect list. Find additional information about this tool in Lewis D. Eigen's posts of March 4, 2018 at this page and August 10, 2018 at this page. autotextdumper.zip Utility for dumping all AutoText entries from a template to a document. Word 2000–2003 only. autotextloader2.zip Utility for loading a large number of AutoText entries into a template. Word 2000–2003 only. bookmark_addin.zip An add-in that displays on the status bar the name of any bookmark that you select. Works in all versions. To install it, follow the instructions below under "SaveView2013.zip". finder.zip A Find dialog like the one in Adobe Reader, showing all occurrences of a term. Works in all versions from Word 2000 to 2016.
form_picture.zip Demo of a method for inserting a picture into a locked form. If you use table cells to hold the pictures, the pictures will be automatically resized to fit the cells. Different pictures can be inserted at different sizes. goto_endnote.zip An add-in that enables you to specify the section and number of an endnote to go to, in a document where the endnote numbers restart at 1 in each section. To install it, follow the instructions below under "SaveView2013.zip". NewDocUserform.zip Revised July 2017 An add-in that displays a New Document dialog in the efficient List format. You can choose to show the templates in any folder, including network locations. This is especially useful to replace the huge File > New page in Word 2013 and 2016, but it also works in Word 2007 and 2010. It adds a button to the Quick Access Toolbar. The revised version remembers the selected folder until you change it or close Word. To install the add-in, follow the instructions below under "SaveView2013.zip". SaveViewLocMulti.zip An add-in that reopens each window of a document in the same screen location (including on multiple monitors), with the same window size, view, zoom, and position in the document as it had when it was last saved. This add-in supersedes both SaveView2013 and SaveLocation. To install it, follow the instructions below under "SaveView2013.zip". SaveLocation.zip An add-in that reopens each document in the same screen location (including on multiple monitors) and the same window size as it had when it was last saved. It isn't necessary if you install SaveViewLocMulti. SaveView2013.zip Word 2013 and Word 2016 force all documents to open in Print Layout view. This add-in restores the behavior of previous versions, saving the current view and zoom in the file and showing that view when you reopen the document. Includes Graham Mayor's contribution here. It isn't necessary if you install SaveViewLocMulti. Paste the .dotm file into that folder. If Word is running, close it and reopen it. EQ field switches This is a copy of the "EQ field switches" page from the Word 2003 Help file. It seems that this information is no longer available on the Microsoft web site, and copies I've found elsewhere are incomplete. WordBasic Help file This exe file installs the Help from Word 95 WordBasic. You need this reference if you're converting an old macro. zip_to_city.zip Demo of a method for inserting a zip code list in a userform. All contents copyright © 2007-2018 by Jay Freedman.